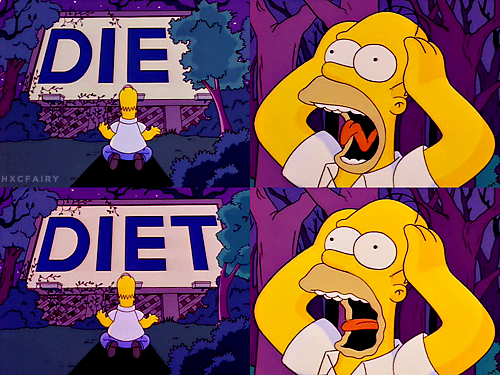 Diets everywhere! Which is the best? It’s all the craze lately isn’t it? 30 Day cleanses, celebrity endorsements, sugar free this, paleo that. It’s hard not to be a little curious and question whether one diet is right for you. The question of which one is best for weight loss is certainly something that has been brought up in conversation with me in the last month or so. My answer has remained the same though: whichever diet or plan you can sustain for the long term is the diet that is right for you. Those who follow the Facebook page must think I sound like a broken record, but the fact of the matter is, all health related goals should be made with a long term view. It should fit your lifestyle, and it definitely should take into account your personal preferences if you want to succeed, because what Pete Evans (Chef from My Kitchen Rules) may eat may not be what you want on your plate every day. Each person’s individual needs are different. 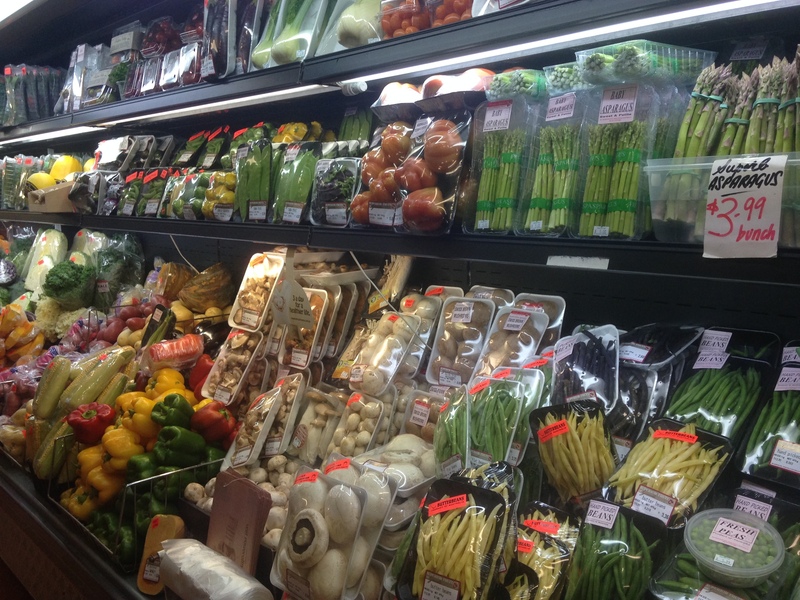 Be consistent with your plan, be flexible enough to enjoy a variety of foods, and be patient! I can’t stress that last point enough. Ups and downs are inevitable, so don’t beat yourself up and instead remain focus on the overall goal. This breakfast/dessert idea is so simple a recipe is hardly needed. Here’s how it was done anyway. Split the banana lengthwise and lay the two halves in a shallow bowl. 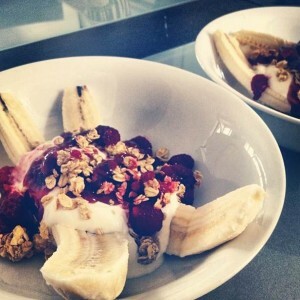 Scoop out the yogurt and put it on top of the banana. Warm the jam in the microwave for 15 to 30 seconds or until it is very runny. Use a spoon to drizzle the jam over the yogurt, and sprinkle the granola/nuts over everything. Top with raspberries/blueberries and dig in! The 10-20% Rule: Have your cake and eat it too, literally! 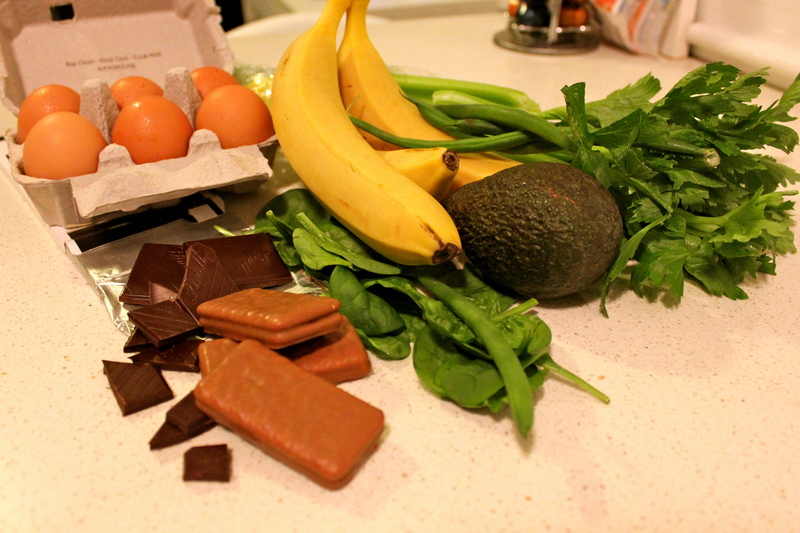 Strict ‘all or nothing’ approaches to food plans for clients are common amongst personal trainers and nutritionists. Often they result in failure due to their lack of flexibility. I’m all for being fit, healthy, and looking the part, but if a diet doesn’t have variety or allow me to indulge in foods I love, I’m not interested. Nonetheless, there is a diet option where you can literally, ‘have your cake and eat it too,’ and that’s by applying the moderation guideline. 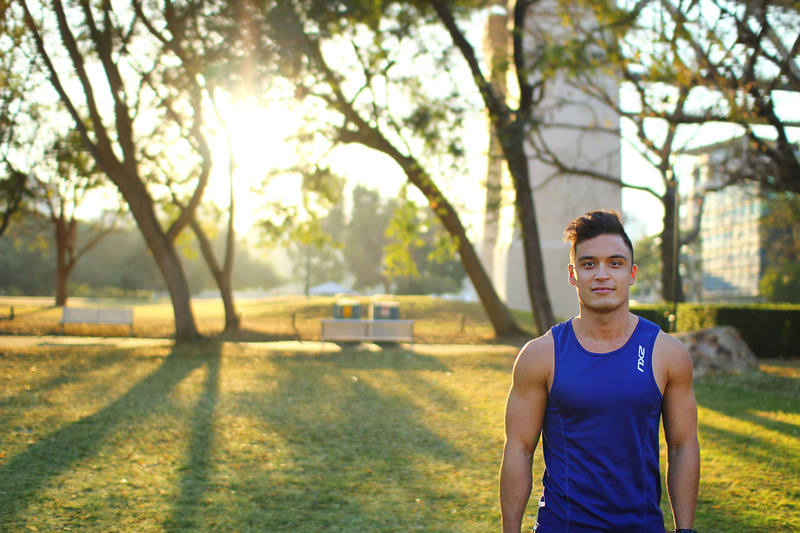 The moderation guideline is the 10-20% rule which is outlined in greater detail by leading nutritionist Alan Aragon. In essence, the 10-20% rule allows you to eat whatever you want but still look great naked! Well, not quite, but with all things in life, everything should be in moderation. 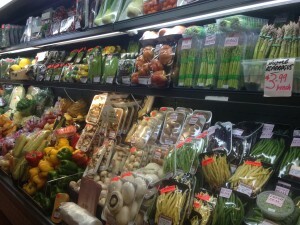 The basis of your diet should still come from whole and minimally refined foods. 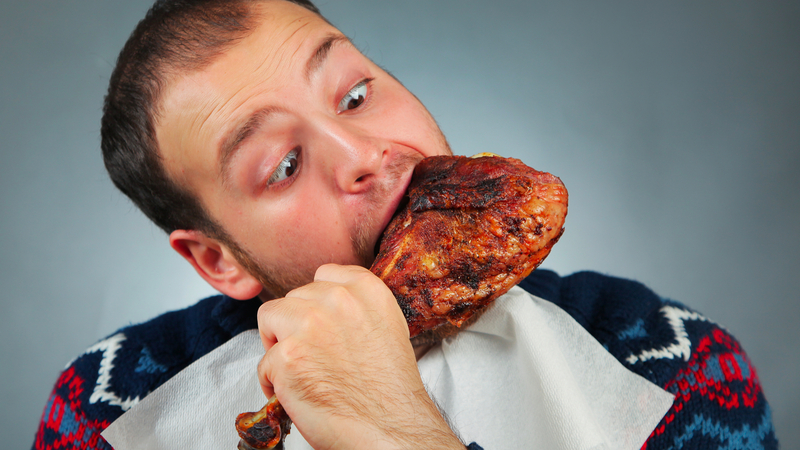 Reaching your minimum daily protein and fat intake (which varies for each individual) is still vital. If you are ticking these boxes, then consuming your go to indulgence foods is perfectly fine, as long as they are in moderation (10-20% of your daily Calorie target). Often dieting is too much of a psychological battle to stay within the parameters of a food plan because of lack of flexibility and variety, but with the 10-20% rule, this allows for indulgences more often than just the common ‘cheat meal.’ Of course, if someone chooses to have 0% of their food coming from sweets or processed food, that’s also perfectly fine. As Alan Aragon has said, “Honouring personal preference is one of the most powerful yet underrated tactics for achieving optimal health and body composition.” Remember though, greater dietary flexibility is achieved by how high or low your physical activity levels are. So basically, consistent exercise is very important. 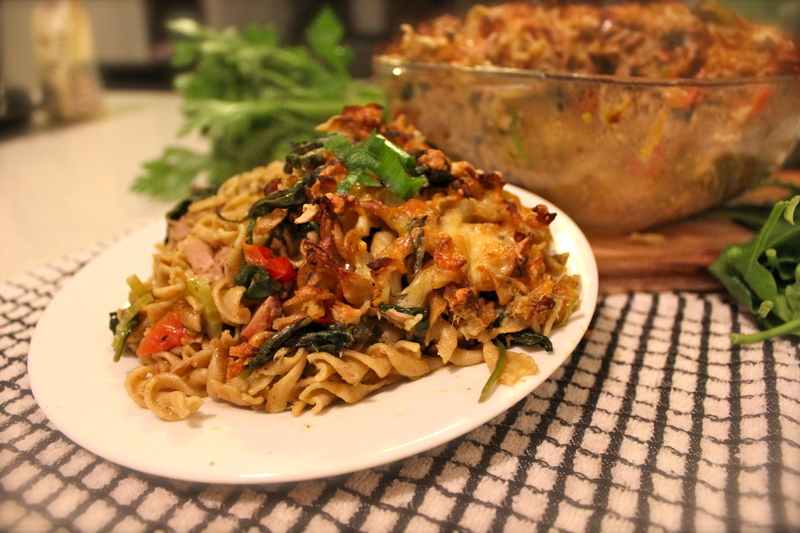 Using wholemeal pasta for extra fibre (more than double fibre content of normal pasta), we combined basil flavoured tuna with a bunch of vegetables to make this. Pasta is more calorie dense than other foods and is often vilified, but eaten in a sensible serving is completely fine. 1. Preheat oven to 180°C. Cook pasta in a large saucepan of boiling, salted water, following packet directions, until tender. Drain. 2. Heat oil in a large frying pan over medium heat. Add onions, garlic and celery. Cook, stirring, for 2 minutes or until onion is soft. Add tomatoes. Cook for 2 minutes. Add spinach and pesto. Cook, stirring, for 2 minutes or until spinach just wilts. Add pasta to pan with tuna (undrained). Season with salt and pepper. Toss gently to combine. 3. Spoon mixture into a ceramic baking dish. Top with cheese. Bake for 20 minutes or until cheese is melted and golden. Stand for 5 minutes before serving. Keeping with the trend of all things ‘techy’ in this month’s JS-PT newsletter, we’ll be riding the continuing wave that is the health and fitness app rage. Holds the title for being our favourite, as well as many of our clients. My Fitness Pal is an easy to use calorie counter (and exercise tracker, although that’s not what we use it for) to help you stay on top of your nutrition. With supposedly the biggest food database of any app, this makes tracking your food intake a piece of cake. 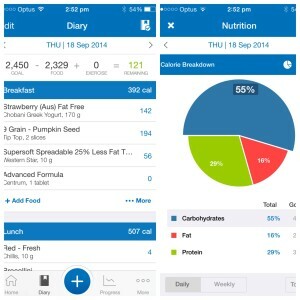 To achieve the best results, tracking your calories and macronutrient intake should be of the upmost importance, and with apps like these to assist you, it makes the job much easier. Often forgotten and severely underrated, a good nights sleep should be one of your pillars of success if you are wanting to gain the most from your training and eating regime. 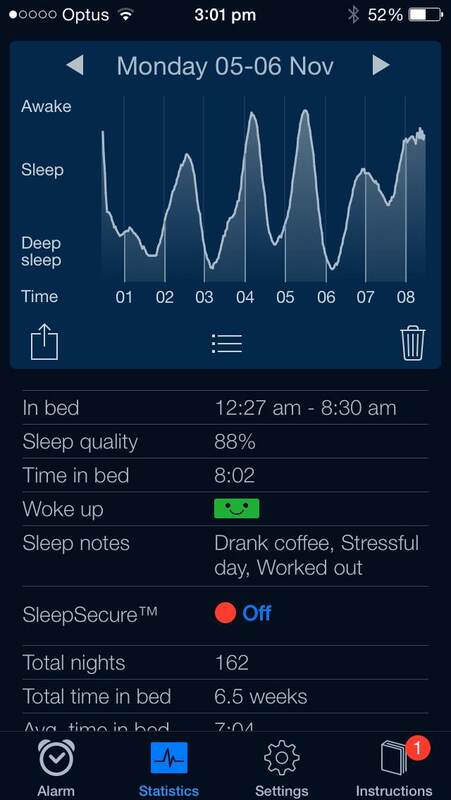 Sleep Cycle follows your movements in bed to analyse the quality of your shut eye, and wakes you during your lightest phase of sleeping allowing you to feel more energised for the day ahead. 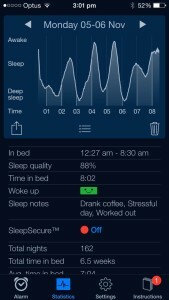 You can also include notes about your day such as caffeine intake, stress levels, and activity levels to gain a better understanding of which activities affect your quality of sleep. Let’s be honest, running can be boring. 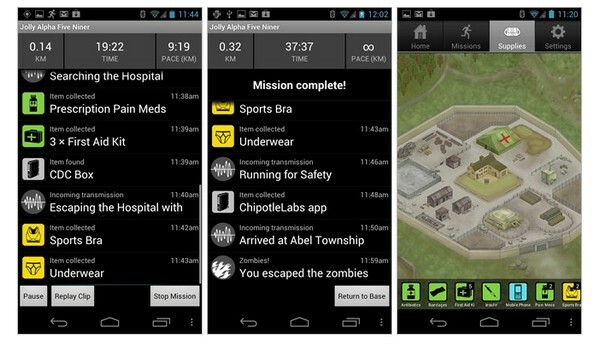 So make it interesting by forcing yourself to escape from zombies (yes, you did read that correctly)! Zombies, Run! puts together an audio narrative while guiding you through a solid running interval training workout. Created by an award winning novelist, this app is sure to get your heart racing in more ways than one! 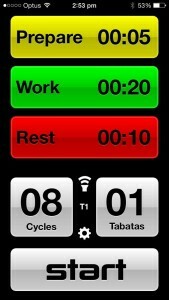 Anyone who has had a session with us knows about Tabata training, and has definitely heard this app in action. 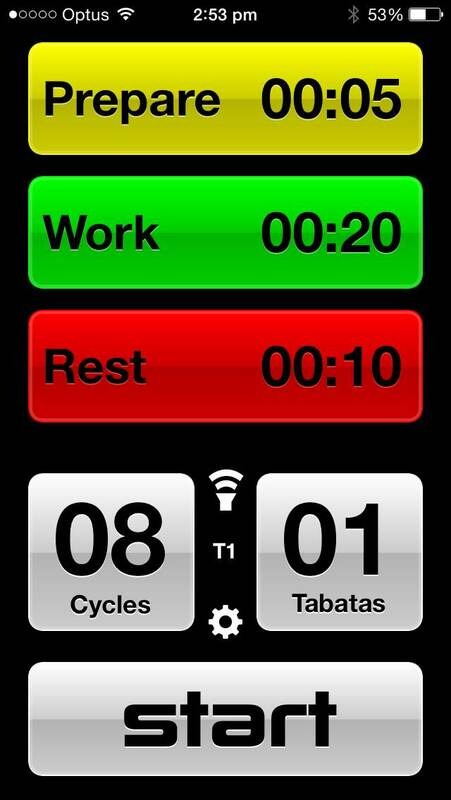 Interval training is made simple by being able to easily customise total time of intervals, number of cycles, and number of Tabatas. With a clear voice over, and easy to hear alerts (over or without music), this has everything you need to nail your high intensity interval training (HIIT) sessions. 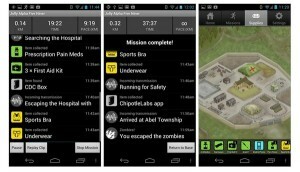 A favourite amongst clients and colleagues, RunKeeper assists in tracking your running/walking with the aid of the GPS on your smart phone. Whether you’re training for a 5km fun run, or just wanting to log how much you’re walking, this app will help you figure a route to follow while logging your pace, time, and steps which allows you to compare your progress at any time. 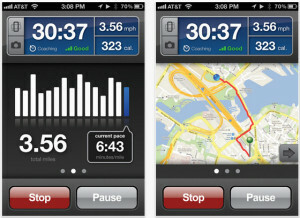 RunKeeper also integrates very well with My Fitness Pal and Fitbit. Topped with sweet potato rather than it’s white alternative, this added some extra sweetness and fibre to an already delicious meal. A good source of protein, carbohydrates, fibre, with a variety of micronutrients (vitamins and minerals), this pie was a delicious choice for warming the stomach during the cooler evenings of August. 1. Steam your potatoes until soft. Mash with milk and butter until smooth. Season with salt and pepper. 2. In pot or pan, heat olive oil and sauté onions until soft. 3. Add carrot, celery, and continue to cook for a further 5 or so minutes. 4. Add mince, cooking through. 5. Season with thyme, rosemary, garlic, oregano, pepper and worcestershire sauce. 6. Once all cooked, add diced tomatoes, stock, corn and parsley. Simmer for 30 minutes. 8. 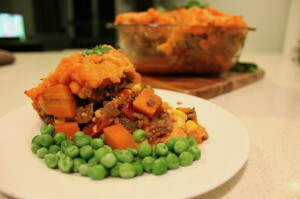 Add meat mixture to an oven proof dish and top with sweet potato mixture. 9. Bake in oven for 20-30min until bubbling. 10. 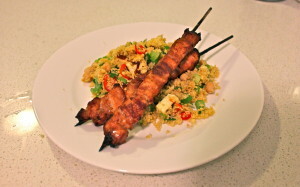 Serve with steamed vegetables or peas.